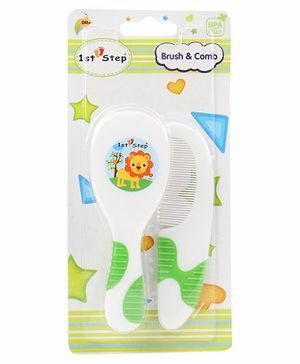 1st Step Baby Brush and Comb makes it easy to groom your baby's hair. The brush features soft nylon bristles to gently remove tangles. 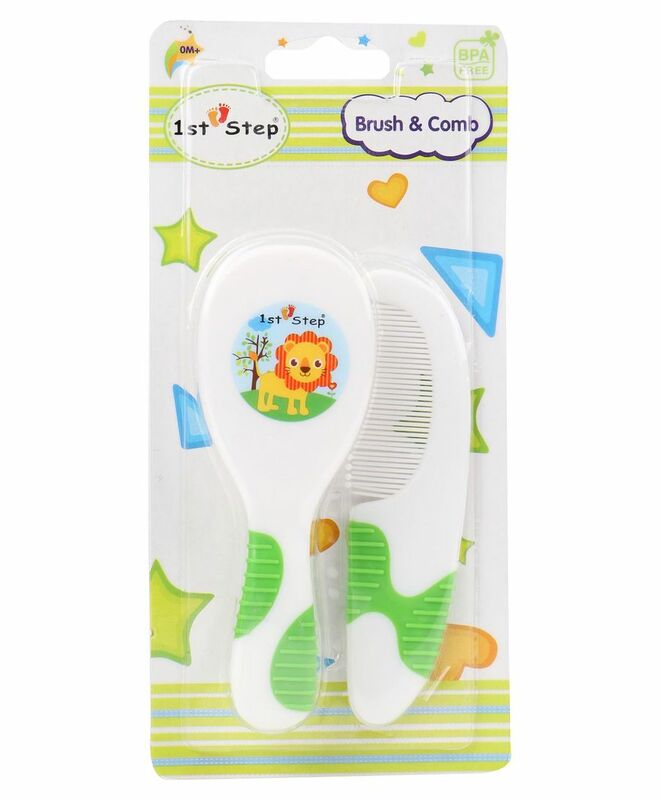 The comb has smooth teeth to comfortably glide through baby's hair. Brush and comb has soft grip handles for a better grip. Wash with mild soapy water or with baby's shampoo, rinse thoroughly. "no gift wrap was sent not even the message on the parcel"
"my kid enjoys combing with this"
the comb are good quality and its teeth have small balls which make it smooth. highly recommend for kids. very soft to babys hair.... affordable price. Beautiful set, brush is soft on hair.